Here are two scarves for lady and a gentleman! 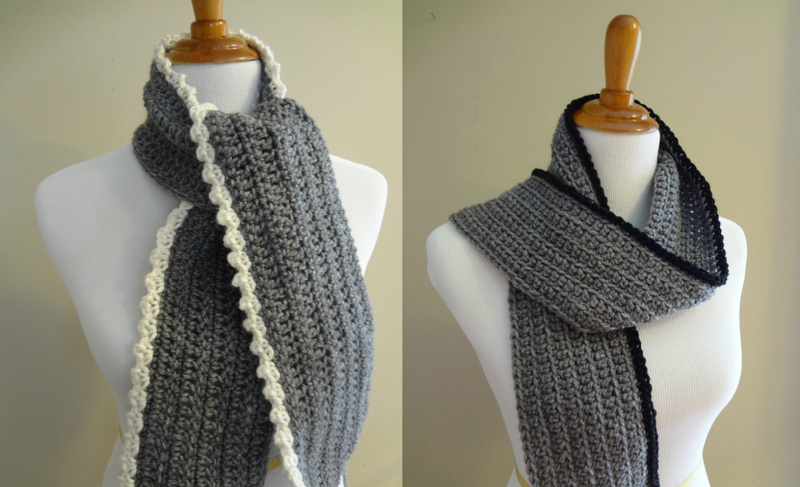 In case you missed them this week, these scarves are very similar in idea and construction, but with different results. Crochet a pair for you and your sweetie to wear in February, or for a favorite couple that you know! A lovely and thoughtful bride and groom gift too. The black reminds me of a tuxedo and the white reminds me of a fabulous bridal dress hem. Simple clean lines for a well dressed dude. Classic grey with a buttery soft lacy edge.